The allure of Los Angeles, a melting pot of a city, draws thousands of people in every year. Of the same token, the influx of people also causes overcrowding, which leads to people leaving the city in mass every year. That constant flow of people coming and going has created a need for professional moving companies. We’ve shown you how to find these moving companies, and how to select local professionals, but now we’ll show you what defines the best Los Angeles movers. This blog will illustrate what makes the best of the best successful, and what you should expect when you hire a local moving company. 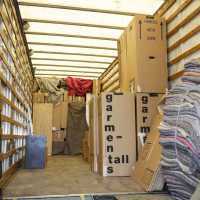 The best Los Angeles movers will provide premium quality moving services, at economical rates. They will offer comprehensive moving solutions in the form of packing assistance, pre-move guidance with moving consultants, local and long distance services, commercial moving services, custom crating for valuable and fragile items, in-house transportation, and storage when necessary. Along with having solutions for all of your moving needs, the best Los Angeles movers always provide service with a smile. They arrive on-time, they’re clean-cut and uniformed, and they’re eager to take care of the move. When they physically move your belongings, great Los Angeles movers will treat items as if they were their own, using precision and care, to ensure that the items are properly handled and protected. No matter what you’re moving, no matter the final destination, the best Los Angeles movers will make sure that everything is taken care of. Assistance with logistics and labor should be standard, but they should also be able to help you move a home, business, or vehicle to any place in the world. No day laborers, just industry veterans, who are uniformed, hard-working relocation specialists. They understand how to wrap, pack, and move any item, and provide service with a smile. Along with creating a detailed inventory of every item being moved, great Los Angeles movers will be able to properly box up all small items, disassemble all large items, and protect all oblong, fragile, or valuable items. From soy based paper and soy ink for all contracts and estimates, to bio-diesel fuel in trucks, great Los Angeles movers will provide an environmentally sound moving experience. You could potentially spend hours and even days researching the many moving companies and movers available to you in Los Angeles. Or, you can save yourself time and trouble by getting a free, no-obligation quote from Acclaimed Movers. Acclaimed has Los Angeles movers who have years of industry experience, and who understand the nuances of moving in the city. Their movers are clean-cut, courteous professionals, who focus on making a lifelong customer out of each person they help. They always provide service with a smile, and the company is prepared to handle any type of move. As a full-service, luxury moving company, Acclaimed provides comprehensive assistance throughout every move, ensuring that you receive unparalleled services. Attention to detail is standard, and Acclaimed Movers makes certain that all of their Los Angeles movers go through regular training, keeping their skills at their peak. When you want to get the best Los Angeles movers, you want to call Acclaimed.